William Byrne;1743-1805, English engraver, born in London. After studying some time under his uncle, he went to Paris, where he became a pupil of Aliamet, and afterwards of Wille. 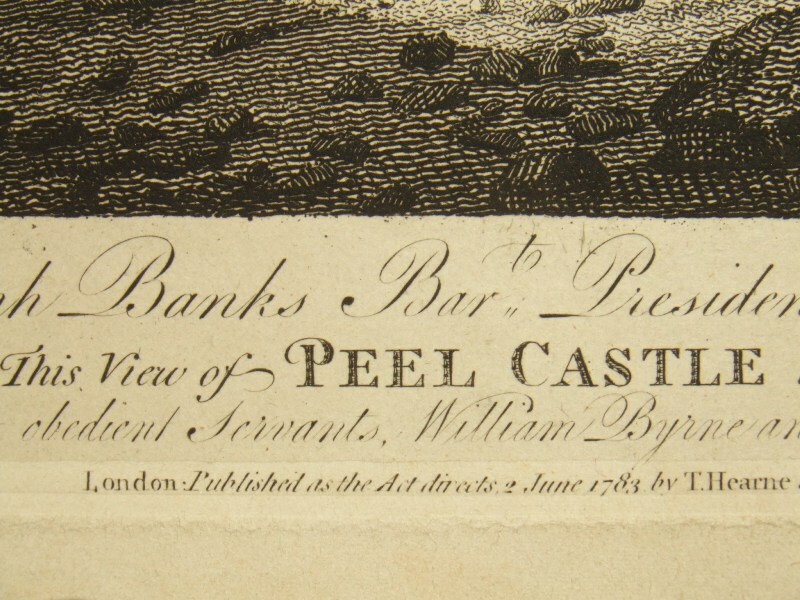 Byrne may be justly ranked among our eminent engravers of landscape. 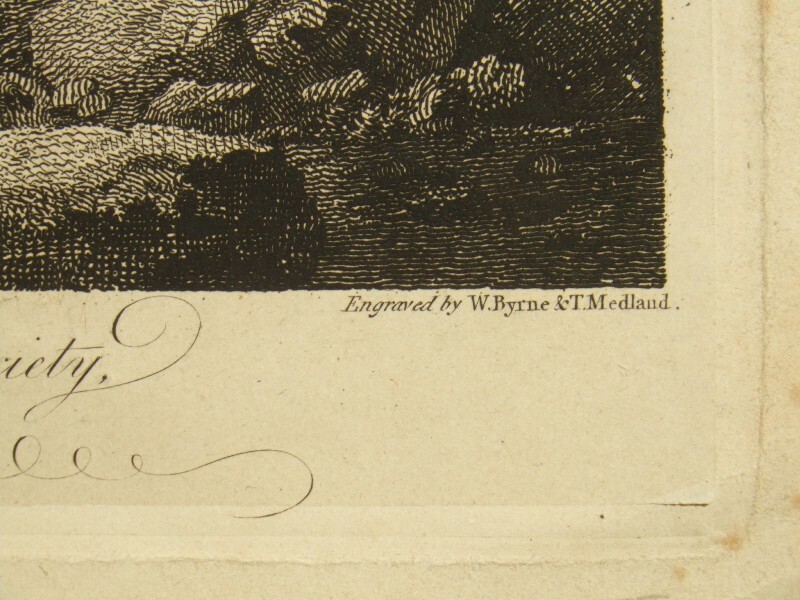 Thomas Medland;1755-1822.English engraver, collaborator with William Byrne. Worked in line and aquatint in mostly topographical. Medland was appointed drawing master at Haileybury College in 1806. 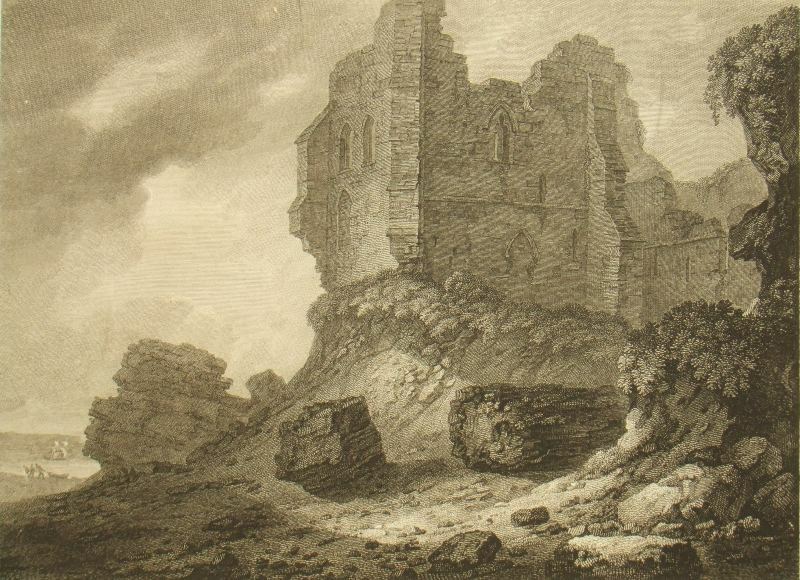 Thomas Hearne; 1744-1817, English landscape painter, engraver and illustrator. A fine and rare early copper engraving which has bright and unfaded colour, with excellent fine black ink detail and lines. The image size measuring approximately 25 cms. x 18 cms. (10 x 7¼ ins). 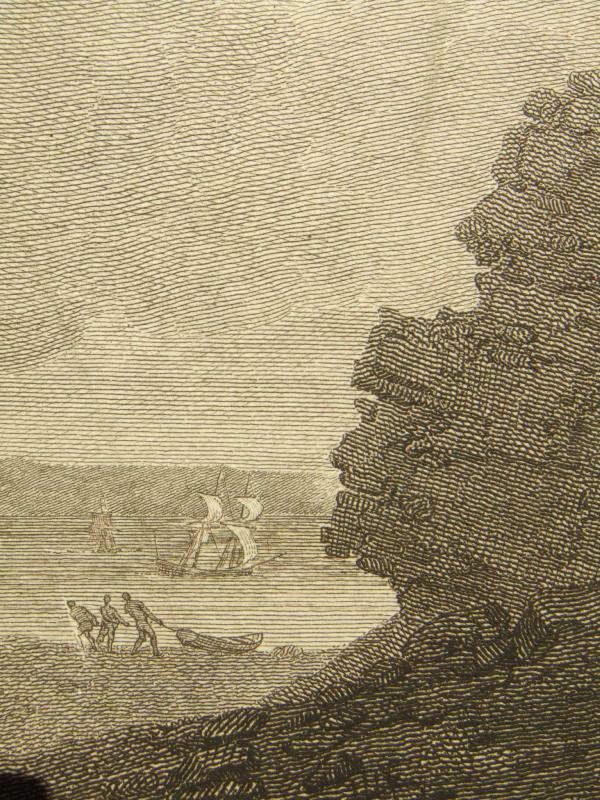 within a strong platemark and impression on an early wove paper sheet size 29 cms. x 24 cms. (11½ x 9½ ins). 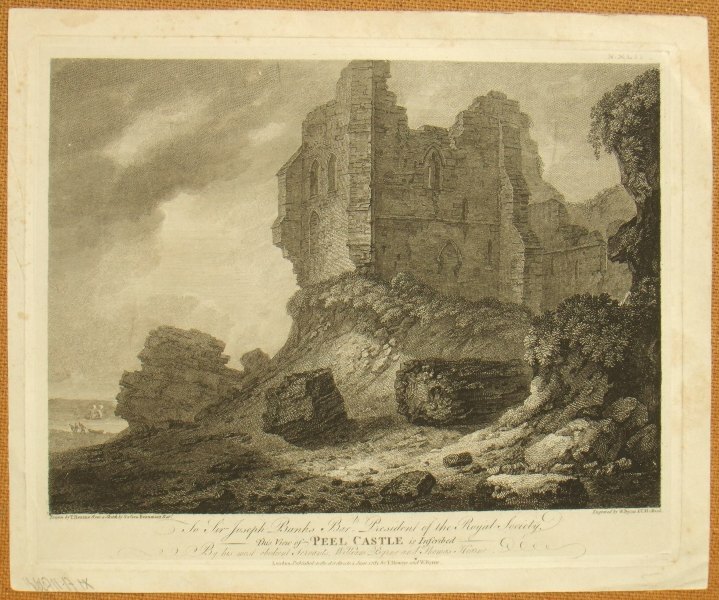 Unmounted and unframed, the condition of the image and sheet is good with an overall age toning, handling marks and foxing to the margins condusive with age.